Dr. Ken Berding is a colleague of mine at Biola University. Like me, he is very interested in the Apostolic Fathers. He recently wrote a brief and interesting introduction to the Apostolic Fathers called The Apostolic Fathers: A Narrative Introduction, which is different from any other book of its kind. Professor Berding was kind enough to answer a few of my questions about some of the earliest church fathers and his recent book. Enjoy! 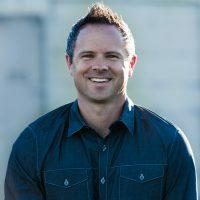 SEAN MCDOWELL: I've been reading your new book on the Apostolic Fathers. Can you tell us who the Apostolic Fathers are and why they are important? MCDOWELL: The back cover of your book claims, "The Apostolic Fathers: A Narrative Introduction is the most engaging introduction to the Apostolic Fathers you will ever read." Most introductions to ancient texts aren't very interesting. What makes this different? BERDING: There are two things that make this introduction to the Apostolic Fathers different from anything else out there. First, and perhaps most important, it’s short! The crucial things you need to know about these writings, including key excerpts from their writings, are included in the book. Second, it’s a story—and everyone loves a story. We know that Polycarp hid from the police in a country-house just outside Smyrna during the week before he was captured and burned at the stake in Smyrna. This book imagines the conversations he had with his friends about the Christian writings composed during Polycarp’s lifetime. (He lived through the entire period.) This book is different because it’s easy to read since it is written in story form. MCDOWELL: How did you get interested in the Apostolic Fathers? BERDING: I lived seven years in Turkey during my young adult years. Two and a half of those years I lived in Polycarp’s city, the ancient city of Smyrna (now Izmir). My oldest daughter was born there. After returning to the United States and entering a doctoral program, I decided to study the literary and theological relationship between Polycarp’s letter to the Philippians and the writings of the Apostle Paul. As I learned about Polycarp, I necessarily came into literary contact with the other Christian writings that were written during Polycarp’s lifetime. Now I’m hooked. Honestly, I sometimes feel like I know Polycarp personally! MCDOWELL: What do you think most people misunderstand about the Apostolic Fathers and their writings? BERDING: Most people fall into one of two extremes in relationship to the Apostolic Fathers. Either they assume that these early Christians got everything right; that is, that whatever they said about doctrine or history or church government must have been correct, simply because they were writing so close to the time-period of the Apostles. Usually people who make this mistake end up overemphasizing the importance of these writings. At the other extreme, some people assume that the writings of these early Christian authors are irrelevant. Many times, people taking this position have accepted the (untrue) idea that almost immediately after the apostolic age Christians for the most part lost their way in many doctrinal areas. A critical openness is probably the stance we should try to take. The Apostolic Fathers got a lot right (some of them more often than others! ), and they often shed light on the world and worldview of the earliest Christians who came just before them. But they also sometimes made mistakes because of their own agendas. Only Scripture is inerrant; and the Apostolic Fathers are not Scripture. MCDOWELL: If you could give people a simple reading plan for the Apostolic Fathers, what would it be? BERDING: I would first buy two books: 1) my new introduction to these writings (The Apostolic Fathers: A Narrative Introduction), and 2) Michael W. Holmes, ed., The Apostolic Fathers: Greek Texts and English Translations. I would start by reading ch. 1 (background) and ch. 2 (about 1 Clement) of my new book and then read the full letter of 1 Clement in Holmes’s edition. Then I would read ch. 3 of my introduction (about the letters of Ignatius) and follow it by reading the letters of Ignatius in Holmes’s edition…and so on until you’ve finished all the writings. Now, if you are just looking for a quick introduction and don’t have time right now to read all these writings, I have included a couple pages of newly translated excerpts from each writing at the end of each chapter that will allow you to get a feel for a particular writing in the voice of the original author. I hope this new (short and engaging) introduction opens up a door into a new world for you!